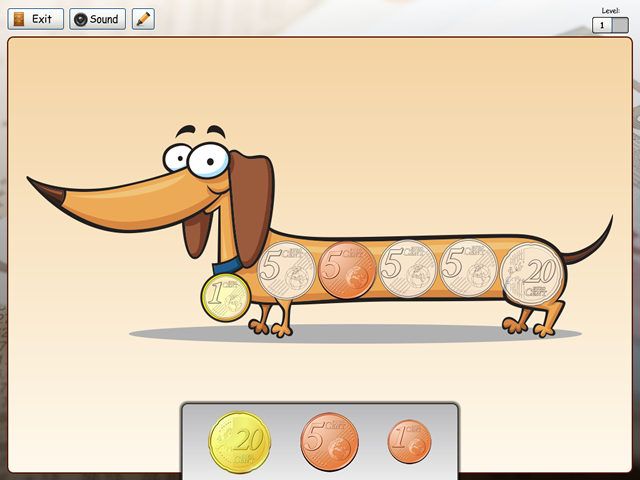 Know Your Money is designed to introduce young children to the concept of money. 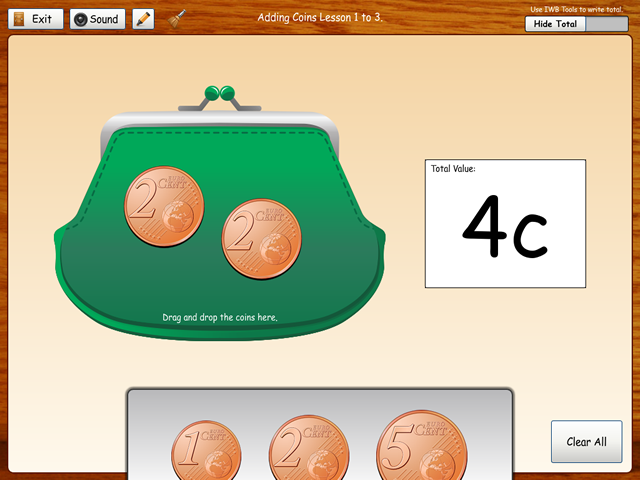 Developed with teachers to support the money strand of the primary curriculum, it is perfect for using with children aged 3-7 and for Learning Support and Special Needs. 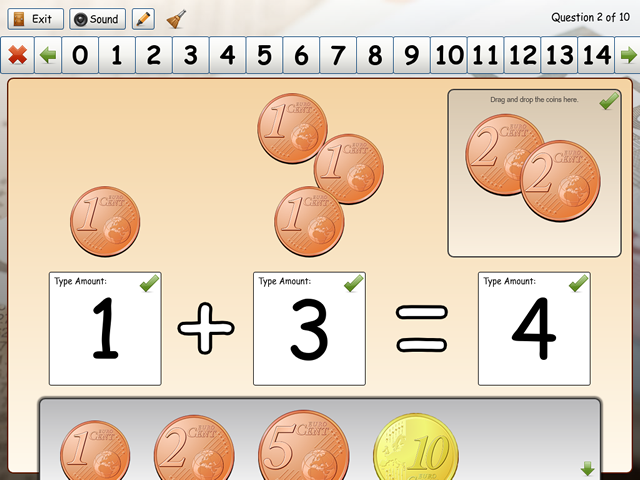 This software features an easy to use drag and drop coin system with random money questions and topics. 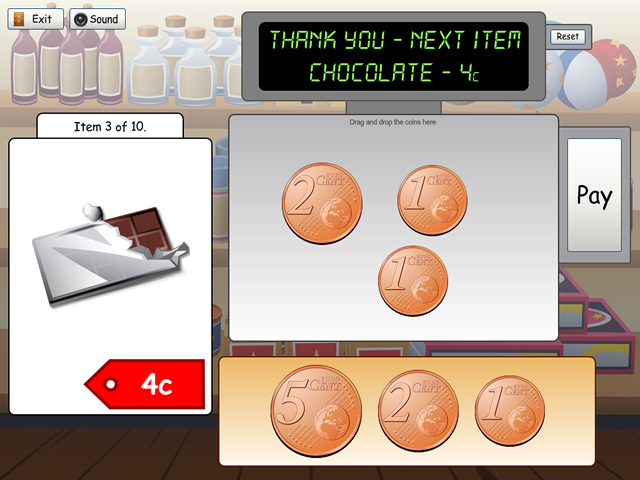 Both a Euro and Pound version are available. 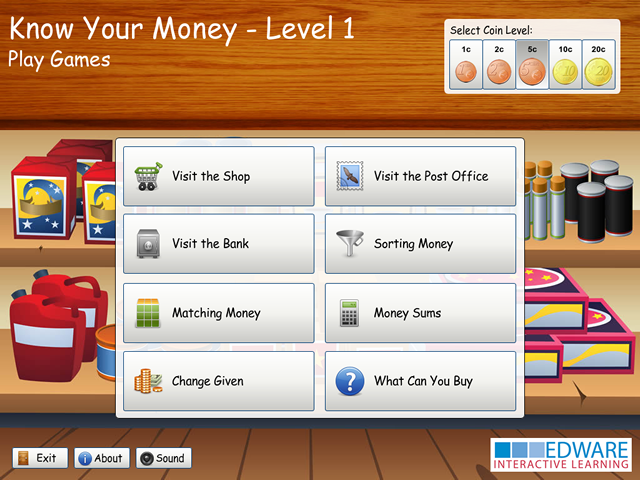 The software covers topics like shopping, adding money, sorting coins and calculating change. 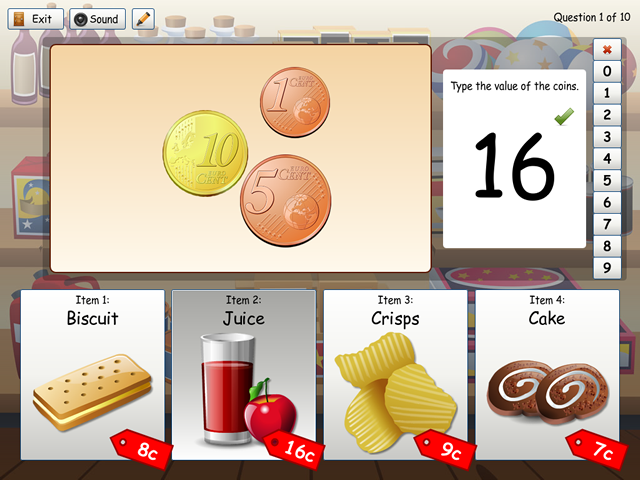 We also supply over 30 printable worksheets, great for using in class with our software. There is a Euro and Pound version available.